Not to many deep dives this year, we headed to the Undola in flat seas and light winds. The anchor hit the spot first go just east of the boiler. The visibility wasn't great at only about 5m and very dark. A few empty bailer Shells laying around and a few Moray Eels. Just another dive. 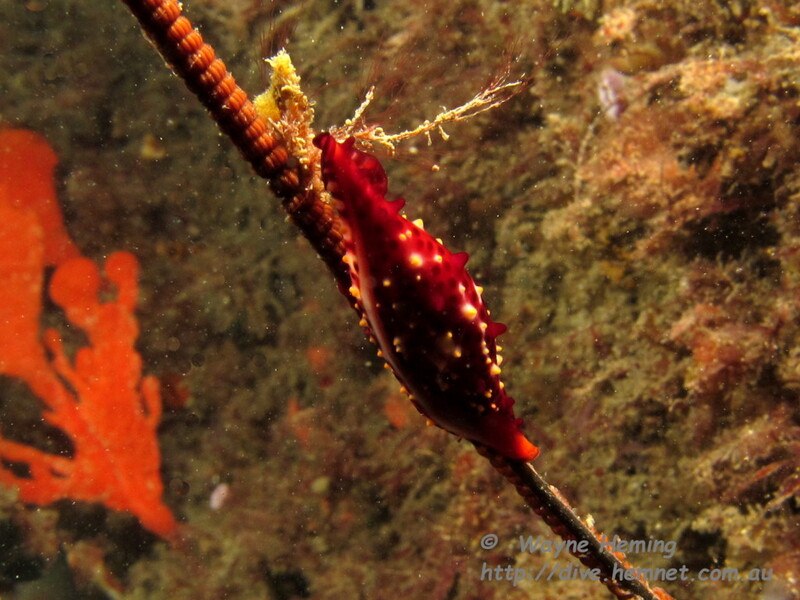 We hit the Splt again on dive 2, chasing the Donut Nembrothas again as well as the Spindle Cowrie, we found them. A few PJ's still around and we could still hear Whales.